Publisher: Atria Books Pages: 384 Summary: Lily hasn’t always had it easy, but that’s never stopped her from working hard for the life she wants. She’s come a long way from the small town in Maine where she grew up—she graduated from college, moved to Boston, and started her own business. So when she feels a spark with a gorgeous neurosurgeon named Ryle Kincaid, everything in Lily’s life suddenly seems almost too good to be true. And then came this book. This book does all that and more. It makes you think! It makes you see the other side of the story and that things aren't always as black and white and easy as they appear to be. When it opens, Lily has just lost the father she despises and lands up on the rooftop of a random building and in comes Ryle. A beautiful, angry man she is instantly attracted to and who shares their attraction. They start to talk and share naked truths with one another. Rule is anti relationships, anti marriage and anti kids but Lily can't stop being attracted to him. Nothing happens between them that night and six months pass by in which time Lily has decided to open a florists and follow her dreams. By some cosmic intervention their paths cross again when Lily hires Ayllsa to help in her newly opened florists. She doesn't strictly need to work but wants to and she lands up being Ryle's sister. Once Lily and Ryle they meet again their relationship starts to develop and I loved their relationship when it started. I was cheering them on. I really did love this book and I loved the way Colleen wrote it. 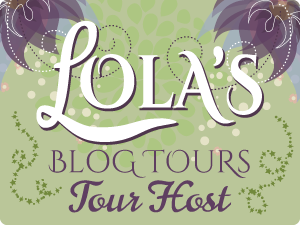 While Lily gets to know Ryle we get a glimpse into her past and her first love, Atlas in the form of journals Lily had written to Ellen DeGeneres. I loved this form of flashback, it was so different and such an interesting way to do things and we also got to see Lily's reaction to what her younger self had written which made it even more enjoyable. I got so immersed in this story and I really did not expect the turn of events this book took. My heart broke not just for Lily but also for Ryle. He tried to change, he really did and I love how Colleen tried to put the reader in Lily's shoes. We fell in love with Ryle hook, line and sinker and then his mood developed and changed. It gave me some idea what so many must go through when this happens to them. I also loved the reintroduction of Atlas and how that helped Lily stay strong in the end. She needed someone who knew her from when she was young to be there to help her out and that's just what Atlas did for her. 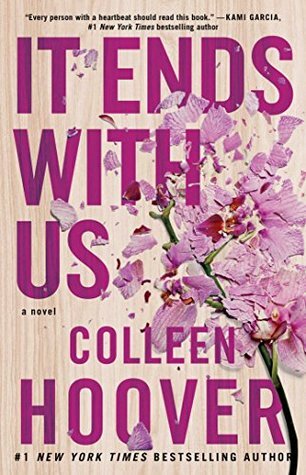 Those who have read Colleen's books know that she has a way with words and story telling that hits you to your very core but It Ends With Us does it in a way her books have never done it before. This book opens up an issue that so many go through and it gives them a voice and shows people who question why they stay the alternative view. I have never been in the position Lily finds herself in this book and like her, I have always said if that ever happened I would leave but it isn't that easy and Lily shows why. And then there is the ending. That ending killed me. I was sat reading the book in tears. It was so very real and raw and finally opened Ryle's eyes up to what had happened and made him see the consequences of his actions more than anything else that happened. It hurt him and it hurt us as readers but it needed to happen that way and I was so proud of Lily in that moment. And then I read the author's note and cried even more. I love Colleen and I love this book! I'm terrified of this book. I think I've mentioned it a few times already. I've read some really disturbing reviews. And I don't know if I can prepare myself for the angst it promises. Sigh. One of these days, I hope.